Create stunning results with our clean, crisp and easy to use Economy Thermal Laminating Pouches. 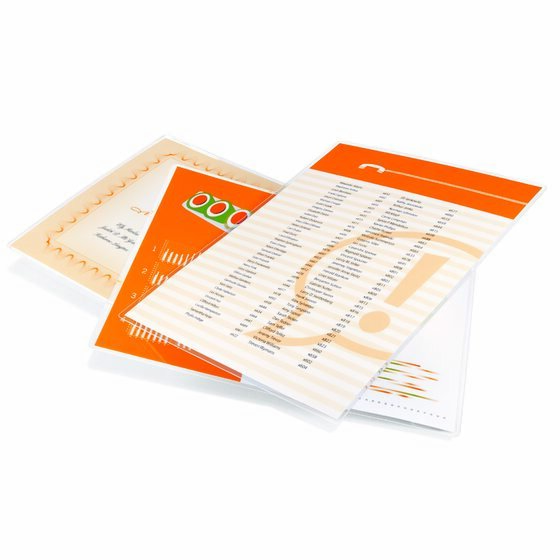 With a glossy finish and clear results, your laminated items will stand out every time. Produce clear results for all of your everyday laminating projects. Perfect for photos, certificates, and other home lamination projects. Standard 3 mil thickness provides solid protection against wear and tear, while retaining the document’s flexibility. With pouches ranging from letter-sized, legal-sized and photo-sized, you can find the perfect pouch for your next project. These pouches are value priced for everyday use, have a reduced border to eliminate excess waste and are compatible with any thermal laminator.